Aquaculture, or the production of fish in a controlled environment, is the fastest growing segment of agriculture in America.The vast majority of US trout grown commercially for food are grown in Idaho - this states success in producing beautiful trout for our markets is linked to it's clean cold rivers and springs. However, water of high purity and cold temperatures are found elsewhere in our country, giving rise to trout farms in Pennsylvania, North Carolina, Washington, and California. Trout is a clean, sustainable, affordable, US grown product. I was shocked to discover that Basia filets, which are fairly new to the marketplace and inexpensive, are catfish imported from China. I prefer US farm raised trout filets as they are very mild and run from a few ounces each to larger ones like these ¾ pound single side filets. They are completely boneless and the skin crisps up nicely on the grill - enabling you to remove it once the fish has been cooked. I picked these up for $5.99 a pound - so the trout for my dinner for four totaled $8.45 - with leftovers for a lunch salad. You can simply rub the trout with a little olive oil, and sprinkle with salt and pepper. 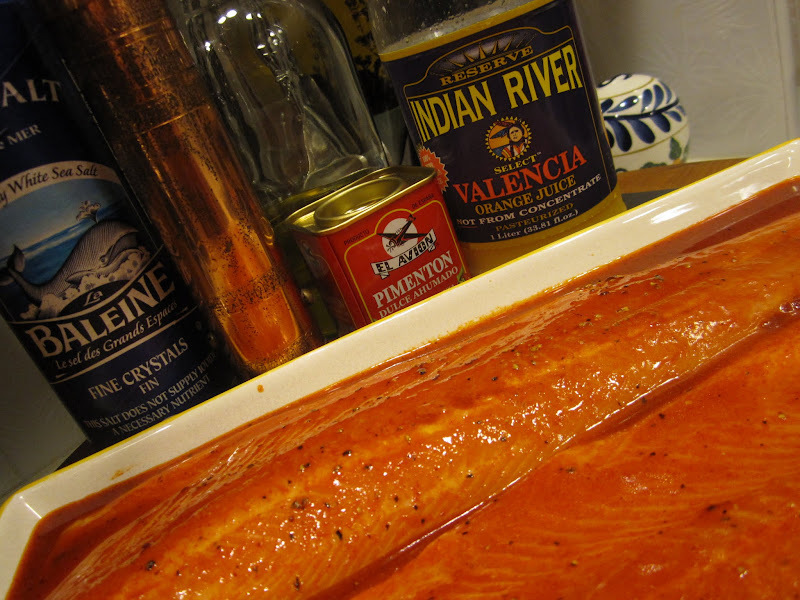 For this dish, I bathed the trout for just five minutes in a quick marinade. Blend the olive oil, orange juice, paprika, salt and pepper in a flat shallow pan or large zippered bag. Marinate the filets in the mixture for 15 to 20 minutes. 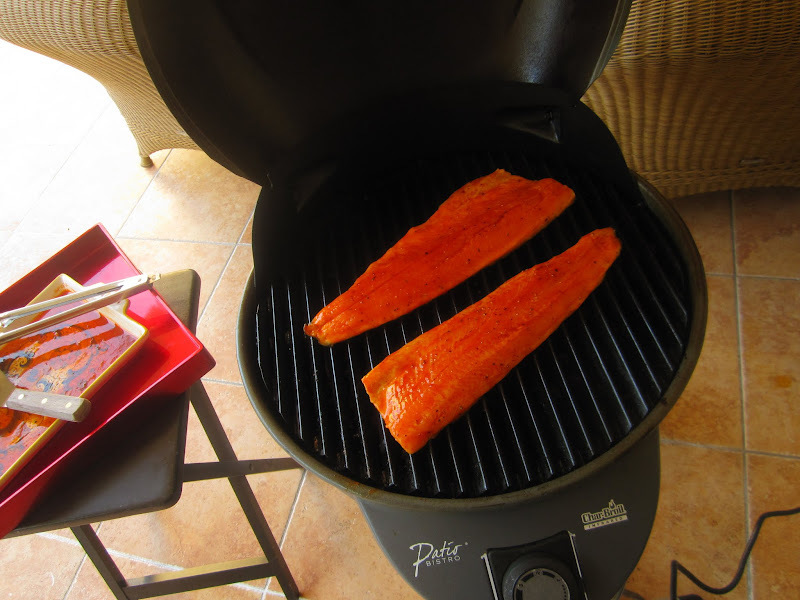 Heat up your grill for about 20 minutes so it comes up to a smoking 500 degree temperature, lay down your filets, close the top on the grill and in 8 minutes you will be able to press the center and see the flakes of trout slide apart. Remove from the grill to a platter (if the skin sticks, just remove the fish with the metal spatula) and serve with a summer salad.Flake leftovers into a bowl and toss with sliced grapes, Greek yogurt, salt and black pepper - tomorrows lunch!